It’s vital to understand the difference between an orthodontic emergency and minor orthodontic issues. Minor issues can be handled the next day, or at your next scheduled appointment. 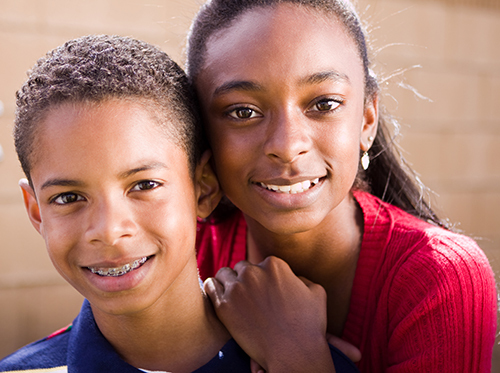 When a real orthodontic emergency occurs, however, you will need to see a doctor immediately. Emergencies can include injuries to your teeth, jaw, mouth, or face. Whether you have braces or oral appliances in your mouth at the time or not, it’s crucial to fix the problem before it gets worse. If you have an injury that affects an orthodontic appliance, that may need to be replaced or adjusted, depending on the extent of the injury. These minor issues may arise if you eat hard or sticky foods that damage your braces or other orthodontic appliances. Make sure to be extra careful, and avoid brushing your teeth too aggressively to avoid causing damage. These problems should not be treated as emergencies unless they begin to cause prolonged pain and discomfort. If you notice this happening, contact our Fredonia office and we can provide a solution. Some at-home remedies you can try can include covering loose brackets or wires with wax. Wax can prevent canker sores from forming by covering sharp metal pieces that poke into your gums. If you have wires that have poked out into your gums, you can use tweezers to push the wires gently away from the direction of the sore area. Always make sure you use alcohol to sterilize anything you intend to put into your mouth. When you get braces initially, you may notice some soreness of the jaw or small abrasions from your mouth getting accustomed to foreign materials. You should not worry too much about this temporary pain. A warm salt-water solution can be used to alleviate any swelling or discomfort you’re experiencing. Many drug stores have ointment for canker sores that will numb the area if they continue to bother you. If you notice that your pain or swelling doesn’t get better, schedule an appointment with a medical professional as soon as you can. When in doubt, contact our Fredonia office if you are unsure or still have questions about an orthodontic problem you’re facing. If the situation becomes an emergency, don’t hesitate to make an appointment with our team, so we can help provide you with a solution. Orthodontic emergencies should be taken care of promptly whenever they arise.